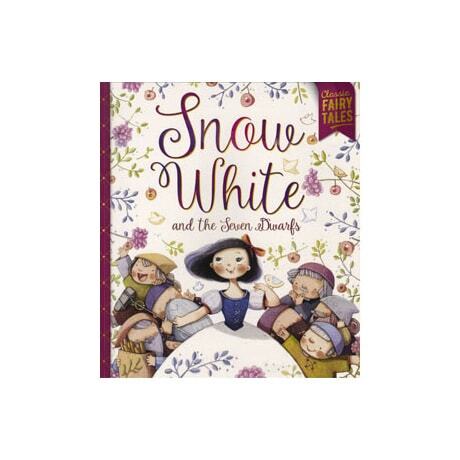 Vietnamese illustrator Thai My Phuong lends the tale of Snow White an irresistible childlike charm with her highly stylized images of the innocent princess, her jolly new friends the dwarves, and even the wickedly jealous queen, who isn't hurled from a cliff but rather vanishes in a puff of green (and smelly) smoke. Published in Australia, this contemporary edition of the tale features a humorous, less violent telling for readers and listeners up to 7. Certain touches—a forest made of big blue-green triangles, a naughty cat who shadows the queen, the hubbub of the dwarves, the very sad expressions of the forest animals when Snow White lies seemingly dead, and the queen's snarky magic mirror—make this a memorable version of the classic.